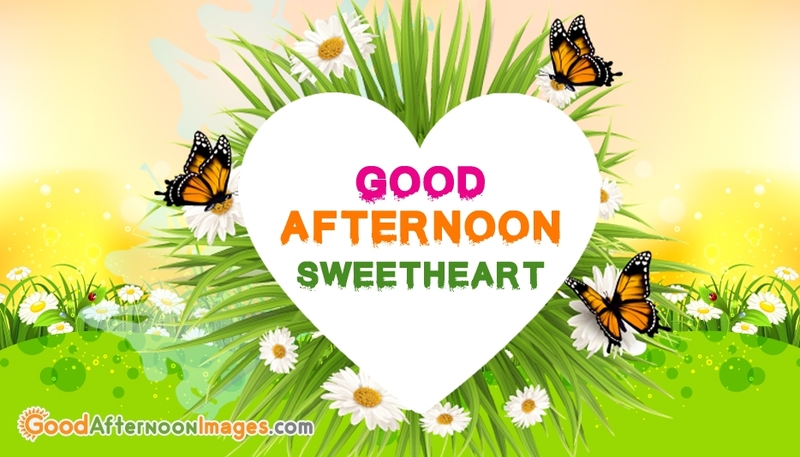 A sweet and heartful floral patterned Good Afternoon image for your sweetheart. Its really hard to cross the hazy and lazy afternoon. Most of the people would feel heavy and bland. But a simple message from a sweet person can re-energize the mood and set back the fresh morning tunes. Free download and share this "Good Afternoon Sweetheart" to your girlfriend/boyfriend and make the rest of their day.